One Company, One Call, One Team. FCi provides industry-leading security, telecom and wireless solutions. Based in Ottawa, Canada, they employ more than 90 people, with over 80 technicians involved in the day-to-day delivery of technology field services to their clients, locally and nationally. 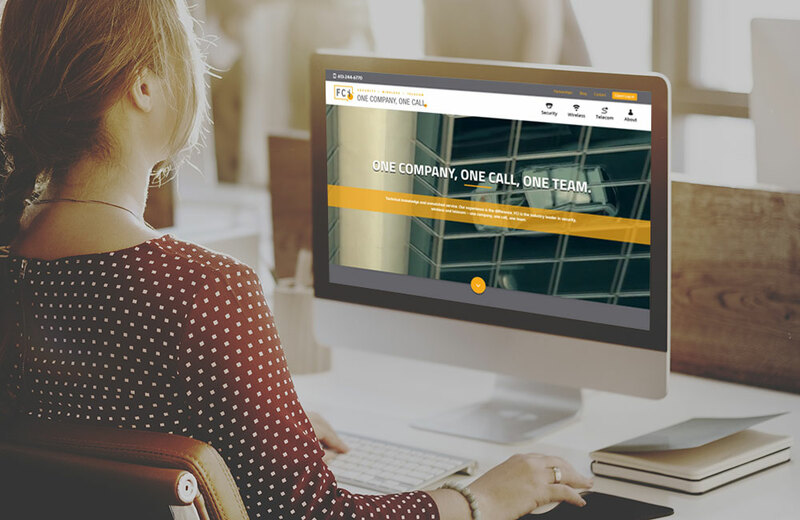 FCi, a long-time client of ours, chose ABORG to modernize their website, and help them establish a new presence that truly reflected their position as an innovative market leader. Their previous website had served them well for several years, but they felt as though a re-design was in order to clearly redefine who they were. We created a fresh look with the use of cutting-edge graphics and code, and delivered a product that helped unite the company's business goals with their online presence.